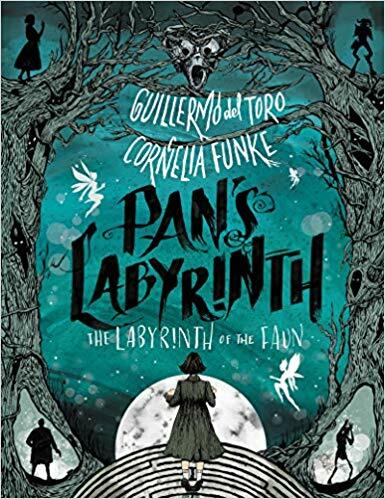 Bestel Pan's Labyrinth voordelig bij de grootste kinderboekwinkel van Nederland. Levertijd 1 dag. Fans of dark fairy-tales like The Hazel Wood and The Cruel Prince will relish this atmospheric and absorbing book based on Guillermo del Toro's critically acclaimed movie.Oscar winning writer-director Guillermo del Toro and New York Times bestselling author Cornelia Funke have come together to transform del Toro's hit movie Pan's Labyrinth into an epic and dark fantasy novel for readers of all ages, complete with haunting illustrations and enchanting short stories that flesh out the folklore of this fascinating world.This spellbinding tale takes readers to a sinister, magical, and war-torn world filled with richly drawn characters like trickster fauns, murderous soldiers, child-eating monsters, courageous rebels, and a long-lost princess hoping to be reunited with her family.A brilliant collaboration between masterful storytellers that's not to be missed.